Collating otherwise hard-to-get and recently acquired knowledge in one work, this is a comprehensive reference on the synthesis, properties, characterization, and applications of this eco-friendly class of plastics. 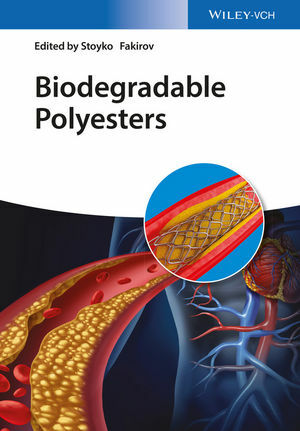 A group of internationally renowned researchers offer their first-hand experience and knowledge, dealing exclusively with those biodegradable polyesters that have become increasingly important over the past two decades due to environmental concerns on the one hand and newly-devised applications in the biomedical field on the other. The result is an unparalleled overview for the industrial chemist and materials scientist, as well as for developers and researchers in industry and academia alike. Stoyko Fakirov is currently visiting professor in the Centre for Advanced Composite Materials at the University of Auckland, New Zealand. He studied chemistry at the University of Sofia, Bulgaria, and received his PhD from the Lomonossov State University in Moscow. Stoyko Fakirov is member of the editorial board of seven international journals on polymers and advanced materials. He has published more than 300 peer-reviewed papers, edited or co-edited thirteen books on polymer science and holds nine US patents. A new, third volume complements the completely revised and expanded work with a materials class that has witnessed strong interest in the last decade: biodegradable polymers. These polymer materials have come into focus thanks to their improved eco-friendliness and their various applications in biomedical contexts.